It is your best privacy guard! 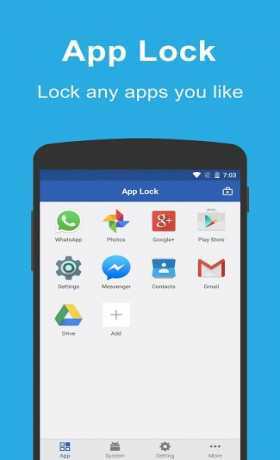 ► How to prevent Smart AppLock being uninstalled by others? Open Smart AppLock and go to “System Lock” page, then enable “Set as Device Admin”. 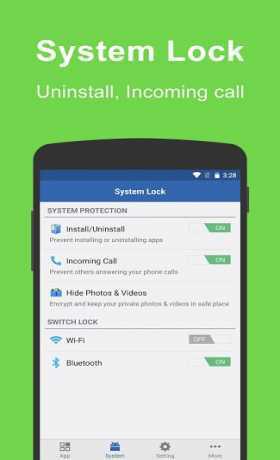 With this feature on, password is required to uninstall or force stop Smart AppLock, your privacy is safer now. 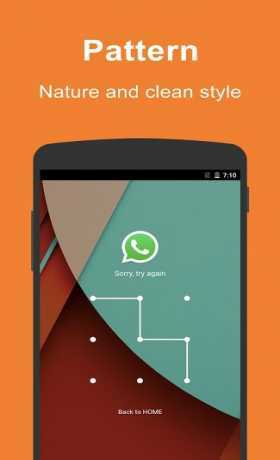 ► How to uninstall Smart AppLock? 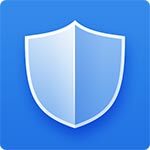 If you do not have “Set as Device Admin” enabled, you can uninstall Smart AppLock like you do to any other apps. If you enabled “Set as Device Admin”, please disable it first, then uninstall it normally. When you setup the password/pattern the first time, Smart AppLock will ask you to setup a Password Retrieve method: “Email Authentication” or “Question and Answer”. To retrieve password, try to unlock 3 times in any locking screen, then the “Forgot?” button will show. Tap the button to show Retrieve Password panel. Tap “Request Authentication Number” button, the Auth Number will be sent to your auth mail address. Input the Auth Number to reset Password/Pattern.